With the popularity of Windows Phones diminishing day-by-day, Facebook is looking to end support for some of its applications for Windows smartphones. 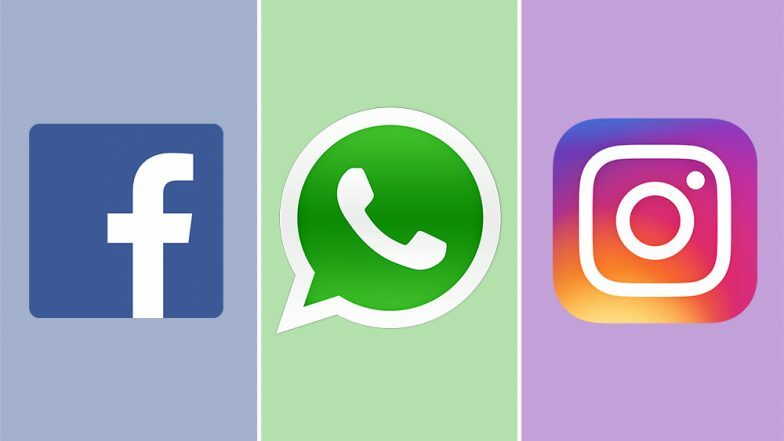 According to the market reports, Facebook might retire its three popular apps - Facebook, WhatsApp and Instagram by the end of this month. The same has been confirmed by Microsoft spokesperson who confirmed that Facebook would end support for Windows Phone by April 30, 2019. If Facebook pulls support for its three apps for the Windows phones, the users will have to depend on third-party apps and mobile Web versions. As of now, the fate of the WhatsApp Windows Phone app is unclear, and the instant messaging platform is available on Windows 10 and Windows Phone 8.1 versions only. WhatsApp’s Fight Against Fake News Ahead of 2019 Lok Sabha Elections: List of New Features From Groups to Forwards May Curb Misleading Messages. It was initially reported by Engadget which was later confirmed by Microsoft about the retirement of these three apps on the windows phones. It is important to note that Microsoft will also be stopping the latest version of Windows 10 Mobile - 1709 by December this year. Moreover, the smartphones with Windows 10 1703 will stop receiving support from June itself. Some of the Windows phones have already lost support for many vital apps. WhatsApp's New Feature Will Save You from Being Added to Annoying Group Chats. Facebook seems to be following on the footsteps of Google, which has been shutting down several applications such as Google Allo, Google+, Inbox by Gmail. Currently, it is not clear how many users are using Windows phones, but the numbers are believed to be not that significant.